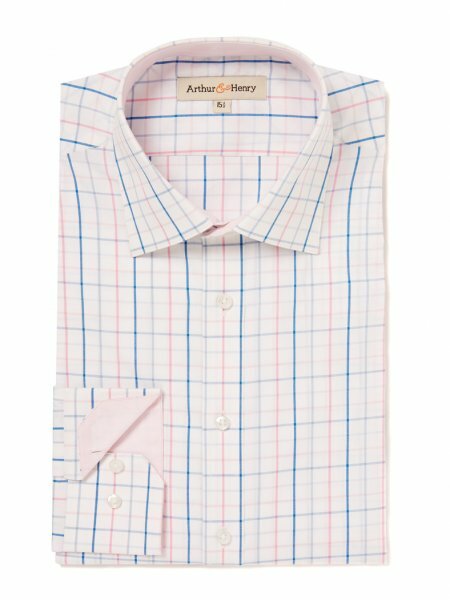 If you have ever searched for classic, well-designed, high-quality men’s shirts that are ethically produced, you’ll know they are hard to find. That is why the launch of Arthur & Henry last year brought sighs of relief and cries of “why has no one done this before” from folk across the land. Their shirts are very carefully conceived from initial design through to delivery on your doorstep: the fine tailoring, beautiful fabrics, focus on detail and their ethical supply chain make them the perfect example of everyday ‘conscious’ luxury. All their cotton shirts are organic (GOTS certified) which is not only better for the environment but also for the farmers who grow the cotton. Their classic styles include herringbone shirts in blue, white, yellow and pink. 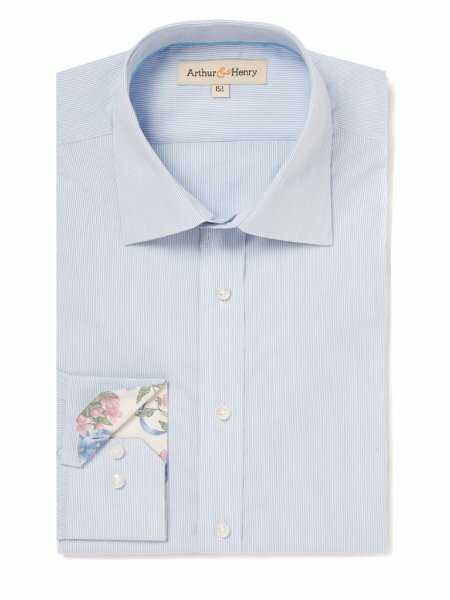 For this summer they have introduced a new contemporary stripe shirt with floral trims in a slim fit (in blue above) and a pin point Oxford shirt in pink, or pink and blue check (see below). Their linen collection has also been extended and includes styles that are naturally veg-dyed and finished with coconut shell buttons. If you happen to be in London town in the next two weeks, you can catch them at their King’s Road pop-up shop and see first-hand just how well-crafted the collection is. If not, don’t fear – their website is not only a great resource to find out more about how, where and by whom the shirts are produced, but it is also home to their e-shop. Arthur & Henry will be at the PopUp Britian shop at 387 King's Road until 17th July where they also be offering a selection of hand-made, fairly traded, Panama hats from Pachacuti, another style-led ethical favourite of mine. Fine linen shirts and stunning panamas hats - just what you need as the weather (finally) heats up! Drop by for 'Lazy Sundays' on the 7th and 14th July to enjoy drinks and cake while you shop. Or visit after work for 'Late Night Wednesday' on the 10th July, when they are open until 9pm.